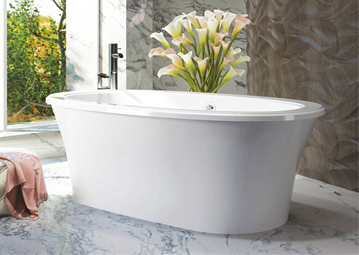 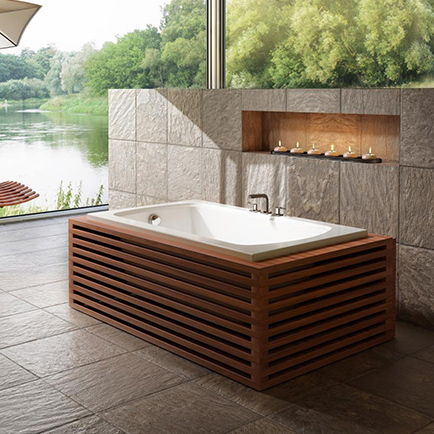 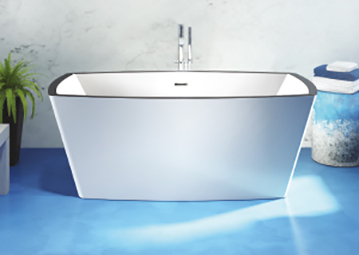 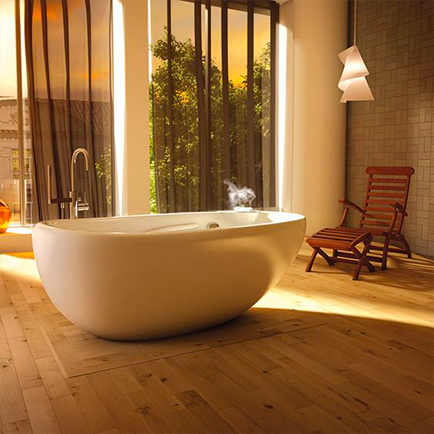 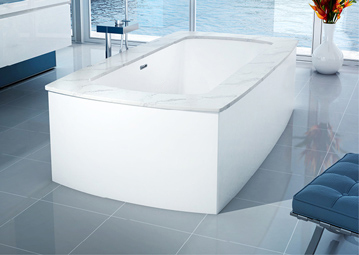 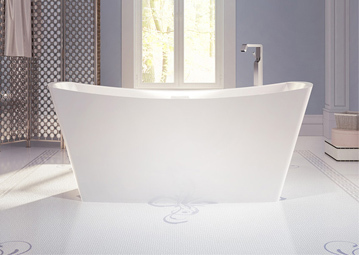 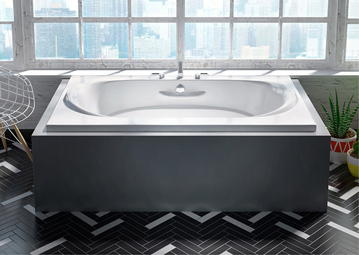 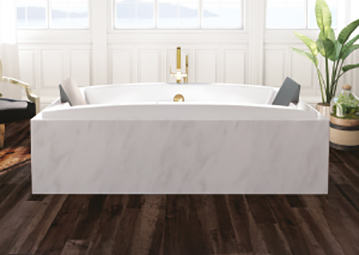 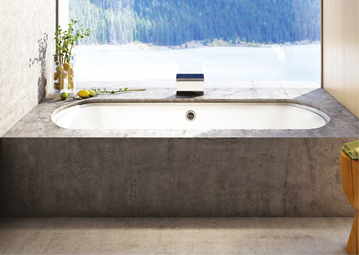 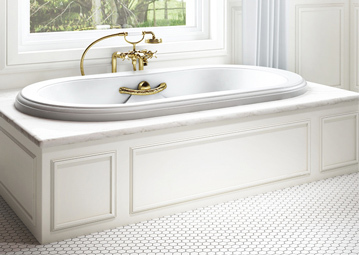 SCALA™, a new collection of bathtubs with luxurious, modern design and classic elegance. 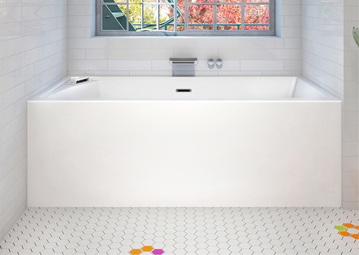 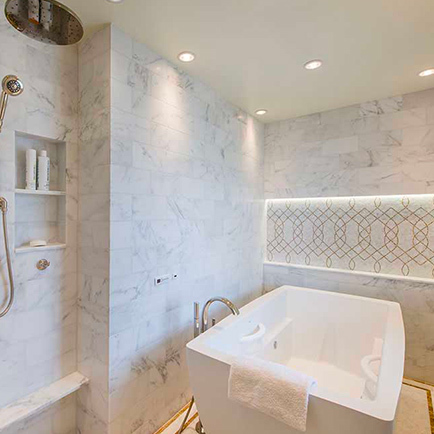 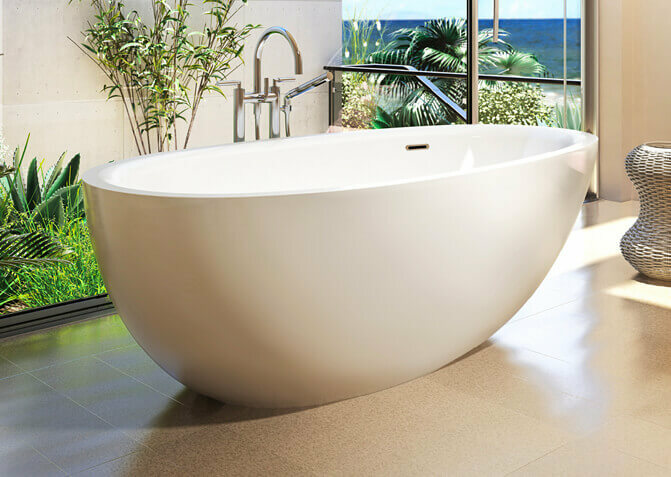 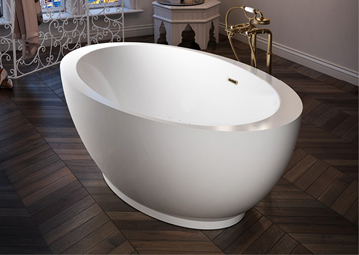 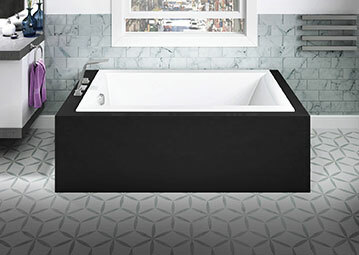 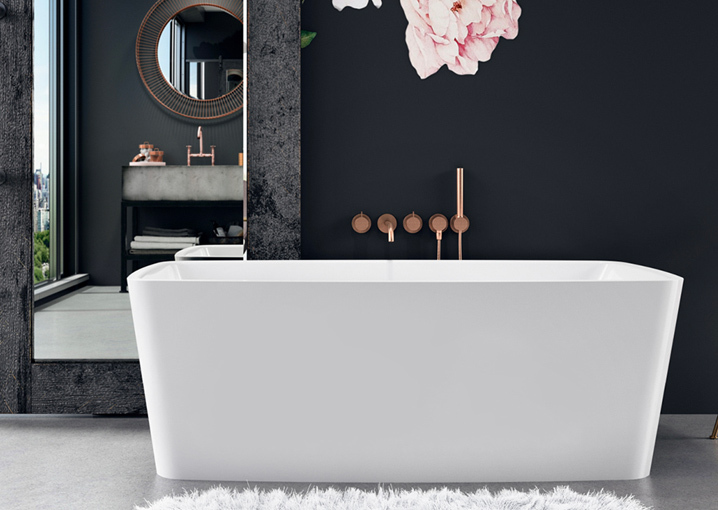 This freestanding bathtub has an aesthetic refinement that translates into a contemporary version of the Rococo style bathtub on lion’s feet. 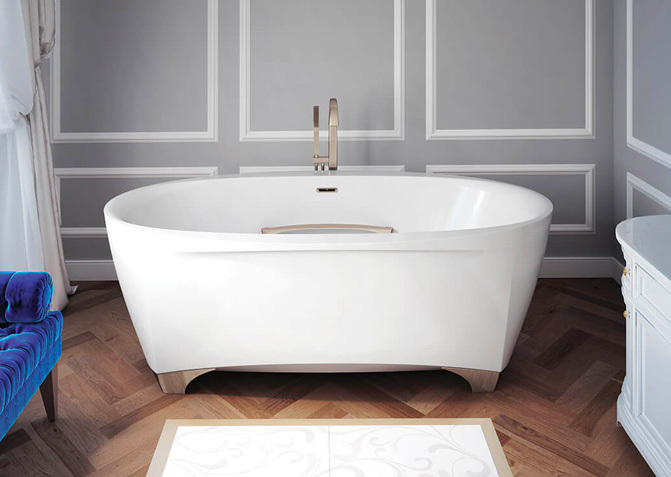 The name Scala was inspired by the “Teatro alla Scala”, the 200+ year old famous opera house in Milan. 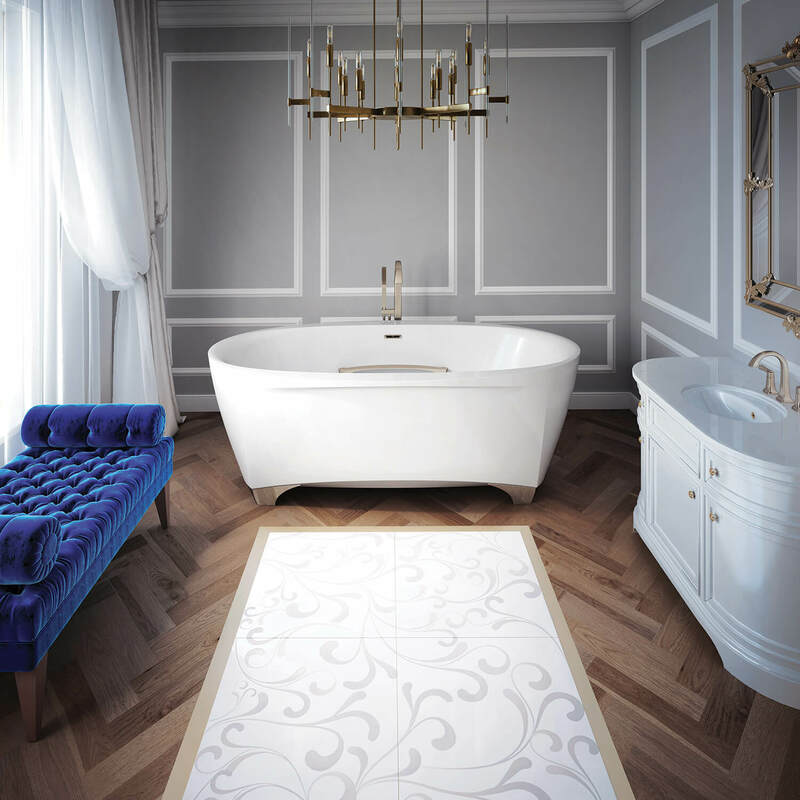 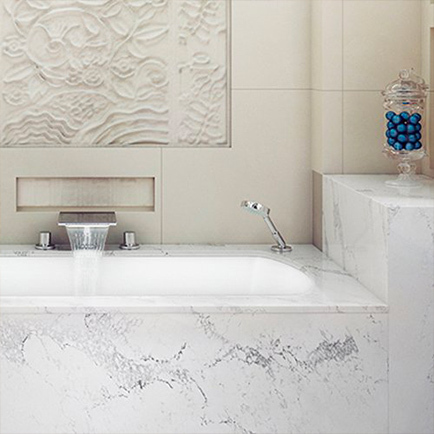 As the audiences of the theater reveled in inspiring performances, so too will bathing in the Scala take you away to a world of refined and soothing luxury. 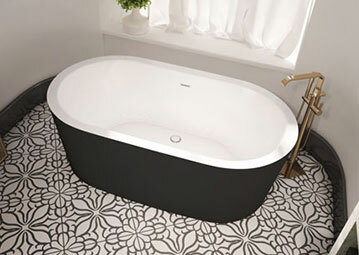 Slide into a SCALA 7242 and enjoy a wider more comfortable seat and backrest as well as integrated headrests to fully cherish moments of well-being and relaxation. 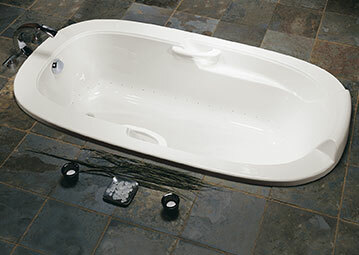 Available in the Thermomasseur® category, Scala offers all the therapeutic benefits of Hydro-thermo massage®: general relaxation of body and mind, relief of back pain, stimulation of blood circulation, elimination of toxins. 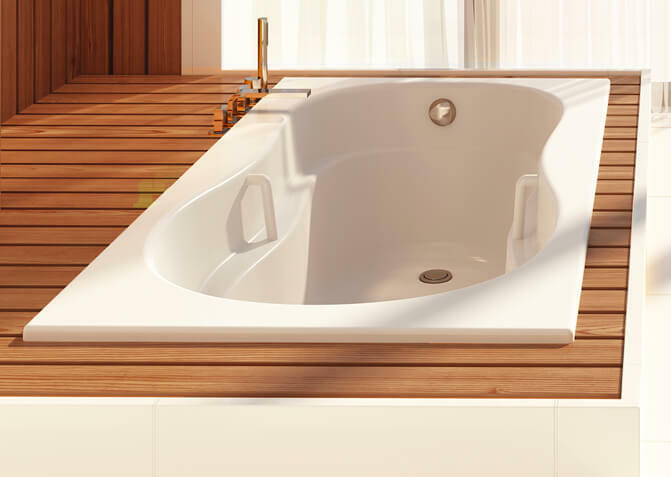 Benefits are also amplified with Geysair® technology. 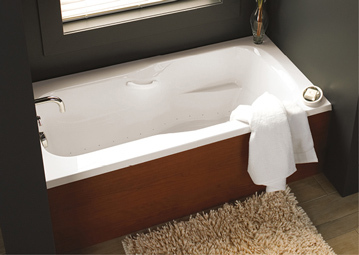 This gives among other things a sensation of uniform and constant heat and a better lymphatic drainage. 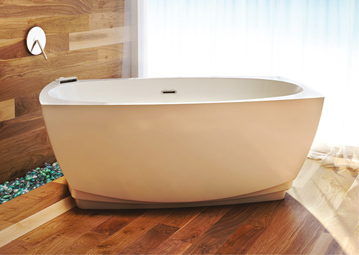 Complementary therapies also allow the bather to regain his vitality thanks to the vibrations of the colors on the senses with the chromatherapy (Illuzio), the effect of the heat on the body which Thermotherapy® (WarmTouchShell®) provides and the addition of essential oils to the bath water. 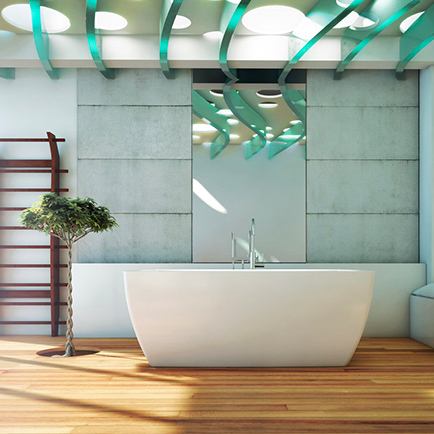 Discover all the benefits of choosing the new Scala model.